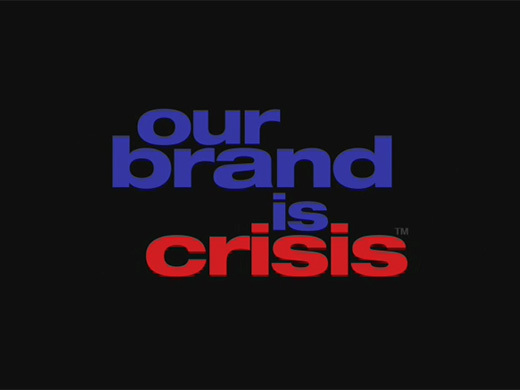 This 2005 documentary film is by Rachel Boynton on American political campaign marketing tactics in the 2002 Bolivian presidential election. The film follows a team of Democratic political consultants, including James Carville, Tad Devine and Jeremy Rosner as they strategize for a struggling presidential candidate in Bolivia. The film is a fly-on-the-wall account of the machinations behind the turbulent re-election campaign of Gonzalo Sanchez de Lozada (“Goni”). In a country facing a calamitous economic crisis, Goni – a wealthy businessman who privatized Bolivia’s economy and created social security (when he was president in the mid-‘90s) – isn’t a popular candidate. Yet the consultants devise a U.S.-style campaign marked by savvy media techniques and negative ads, emphasizing a single, strong message. They reintroduce Goni as an appealing brand in an attempt to win an election whose aftermath is nothing short of devastating. The film won the Truer Than Fiction Award at the Independent Spirit Awards and the International Documentary Association’s top prize for Best Feature Documentary in 2005.